Could Israeli be a food trend to watch in 2019? 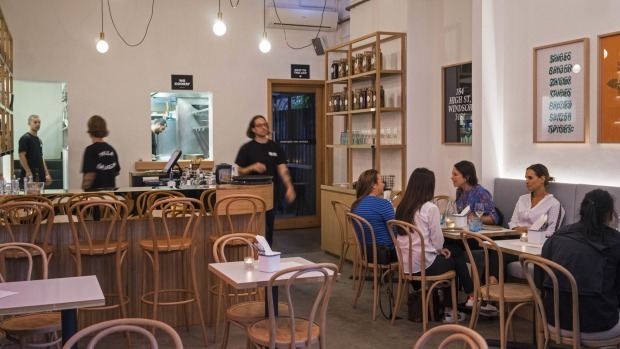 While we cross our fingers, Balagan Kitchen in Windsor has joined the ranks of casual Israeli-Middle Eastern restaurants such as Miznon, New Jaffa and Colours Kitchen (the Atlas Dining spin-off), moving into a space just off Chapel Street previously occupied by Charlie Dumpling. Yiddish for "mess" or "chaos", Balagan is the somewhat unexpected passion project of Italian chef and cookbook author Luca Lorusso, founder of Arkibar, Pizza e Vino and Cafe Latte (he still owns the latter). It's a familiar story. Chef travels to country (Israel), falls in love with the cuisine and returns home determined to recreate the food. To this end, Lorusso has enlisted Iraqi-born head chef Akad Al-Guepa, who learned the ropes in the kitchens of Rosetta, Rockpool, Spice Temple and Il Bacaro. 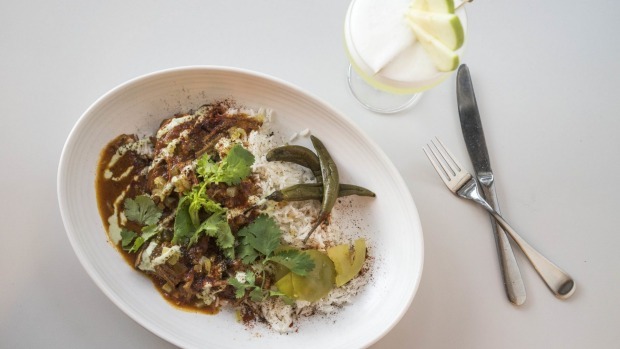 Lorusso's son, Sacha, is the general manager, and his mother's Jewish blood has given him the chutzpah to print "oy vey" on the menu, where larger plates such as brisket with pickled peppers, green tomatoes and yoghurt and whole-baked cauliflower with labna and pomegranate speak to the cuisine. Less traditional are beef sliders with harissa and a halva semifreddo with Persian fairy floss. 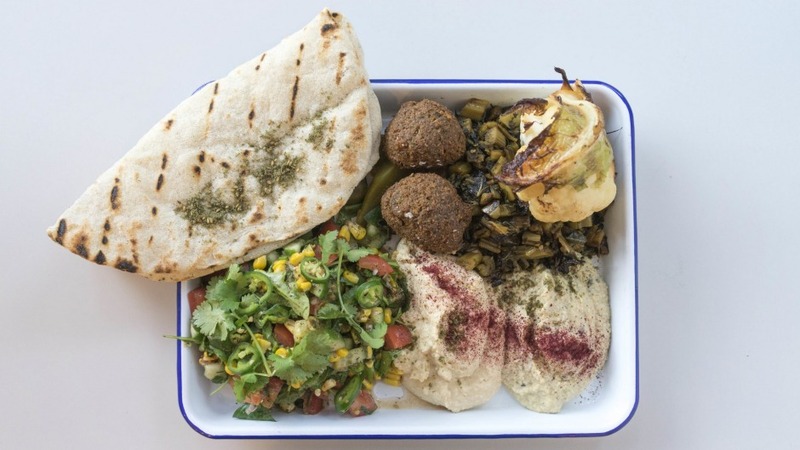 Lunch trays are good value: chicken, lamb or roasted veg and falafel with two dips, tabbouleh, pickles and pita for between $17 and $19. Sacha also has a knack for design and branding and is responsible for Balagan's bright and youthful vibe. Polished concrete floors lead to a curved bar, pickle jars perch on wooden shelves and white walls are decorated with a neon logo and text-heavy posters. If you're waiting for one of the 40 seats, head to the narrow courtyard and sip a cocktail with Middle Eastern-leaning ingredients, one of four beers or about a dozen wines available by glass or bottle.